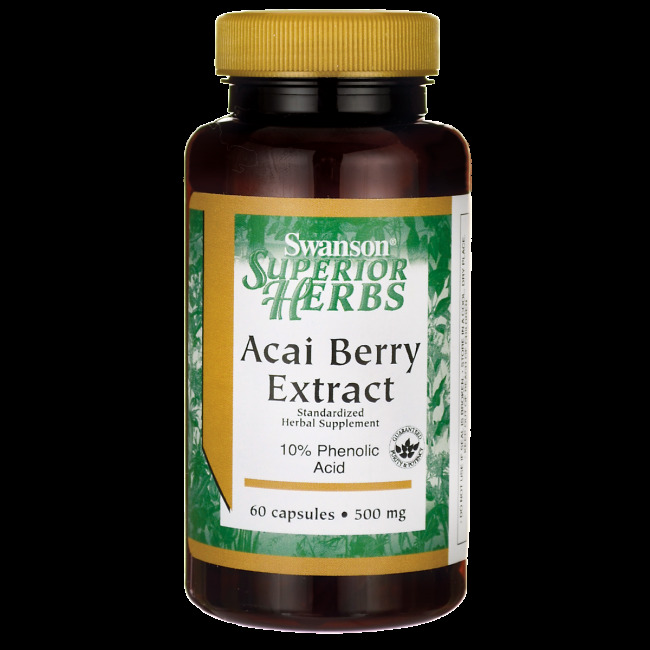 Enjoy tremendous vigour and ensure your body maximum antioxidant protection with Swanson Acai Berry – one of nature's wonders. Acai palm is native to the northern parts of South America, along the Amazon River. 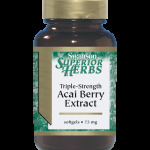 Its beneficial effects won its name among the native people who call it “the tree of life”. The Acai palm fruits – Acai Berries – are black-purple drupes with very enticing appearance. They are rich in anthocyanin and polyphenolic compounds. As a matter of fact, the comparison of equal volumes of acai berries and red wine demonstrates three and a half times higher anthocyanin content in these amazing fruits. The “tree of life” fruits are recently gaining more and more ground in the preparation of smoothies and other drinks. Acai berries are notable for their amino acids and trace elements content which exceeds that of blueberries and strawberries – the fruits traditionally used for combatting free radicals. Recommended use: As a dietary supplement, take one softgel twice daily with water.